A followup to our Dark & Frowny blackberry-basil Prosecco cocktail from yesterday, but this time with strawberries. The Madtini Intoxicologists are dying to try this with Kiwi soon, so stand by soon for a mix of New Zealand and Italy. 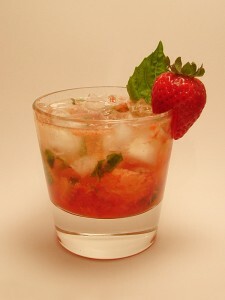 Muddle the strawberries and shredded basil leaves in the bottom of a rocks glass, add Gin & sweet and sour syrup and stir. 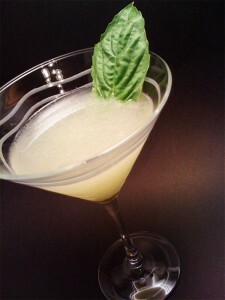 Fill 3/4 of the glass with crushed ice, and top off with the Prosecco.